TheNewsMarket, a content hub and distribution channel, has launched YourNewsMarket, a platform that enables brands to build an online newsroom or media center "out of the box." LONDON: TheNewsMarket, a content hub and distribution channel, has launched YourNewsMarket, a platform that enables brands to build an online newsroom or media center "out of the box." For the past decade, TheNewsMarket has provided customized online newsrooms for clients including the State Department and General Motors. However, the YourNewsMarket online newsrooms have a more standard look and feel, according to Matthew Thomson, global MD of TheNewsMarket. "YourNewsMarket enables us to offer an out-of-the-box website, in addition to the very bespoke sites we will continue to build under TheNewsMarket," he explained. In May, TheNewsMarket surveyed its global media network of more than 36,000 media organizations in 190 countries and found that more than 86% of media influencers say they visit an online newsroom daily or at least once a week. The survey also found that although 97% of journalists want brands to have an online newsroom, 56% said it is not important for the look and feel of a newsroom to match a brand’s identity. This finding was the inspiration for YourNewsMarket, Thomson explained. "We know some clients will always want to have a seamless design experience, but we believe functionality should be the key driver when you are making your purchase decision about building an online press site," he said. In terms of functionality requirements, 55% of journalists said it is important to be able to access an online newsroom in an optimized manner via a mobile device. The most important feature in a mobile environment is the ability to preview images and videos, according to the survey. 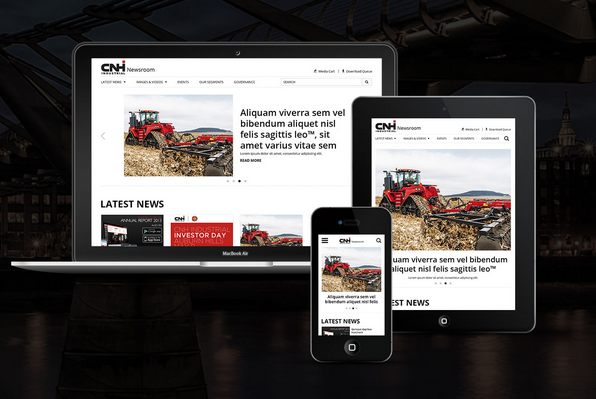 "YourNewsMarket’s platform is built on responsive web design, which means that the site is optimized for desktop, tablet, mobile, and smartphone; it seamlessly works across any of those devices," said Thomson. All multimedia news assets, including videos, images, press releases, contact details, and social media conversations are housed on the global-facing platform, and the newsroom provides branded content for preview, embed, or broadcast-quality download. Further, the software allows clients to control their content, the publishing of news stories, imagery, and video. Price information was not available, but there are three service options: YourNewsMarket and YourNewsMarket Plus require no set-up fee and a monthly subscription. YourNewsMarket Enterprise does require a set up fee, depending on the complexity of the client’s site. The Enterprise option is available, with plans for the other options to debut in August.